During the summer, Junior Day Camp is the place to be! MPA Summer Camp is pleased to offer this premier program, for three to six years of age. Junior Day Camp is made up no more than 12 campers, with one experienced professional and a select counselor - a 6:1 ratio! Learn More! Intro to Drone Flying Missions is specifically designed for campers with little to no experience flying drones. We use the safest and most reliable drone products on the market, including the Parrot™ drones for enhanced safety and most of all, fun. Campers will learn the basics of drone technology and safety before taking to the air. Learn More! Who wants to learn culinary arts from celebrity chef and Morgan Park Academy dad, Graham Elliot? Mr. Elliot will be hosting a Mini MasterChef camp at MPA for 3 days only! Space is limited to 15 mini chefs. Don't miss out!. Learn More! The Themed Enrichment Camp includes classes designed for students entering Grades 2 through 8 who would like to explore an area of curiosity or interest. CSI & Spy, Hogwarts School of Witchcraft, and Drop Zone Maker Camp are just a few of the classes being offered this year. Learn More! Students will focus time on improving and honing their reading, writing, and math skills. These are grade leveled programs for students who need some additional work on their skills. Technology, games, and creative activities will be included along with the traditional learning techniques. Learn More! Challenger Sports' British Soccer Camp is the most popular soccer camp in the country, based upon one of the most innovative approaches to coaching youth soccer in the US. Our experienced staff study the game at all levels and we have identified the key techniques and skills that your players need to work on and master to reach their true potential. With programs for each age, the curriculum includes a variety of foot skills, technical drills, tactical practices, freestyle soccer, small-sided games, coached scrimmages, and a mini-tournament play. Learn More! Baseball, Basketball, Flag Football, Gymnastics and Soccer, are part of the Sports Camp offerings. Camps are run by Morgan Park Academy’s coaches and faculty. Our gymnastics camps are coach by Three-time USA Women's All-Around Champion and Hall of Fame gymnast and coach, Dianne Durham. Our soccer program is through British Soccer camp. Learn More! Campers will use the newly released LEGO® WeDo 2.0 robotics kits to explore a variety of building designs and programming. This camp is an excellent introduction to robotics and STEM play. LEGO® MINDSTORMS® Education EV3 and the new EV3 Space Challenge! Campers build robots that can use sensors to find lines, identify threats and targets, and then integrate programming with motors, sounds and other outputs to move, react and solve challenges. Learn More! 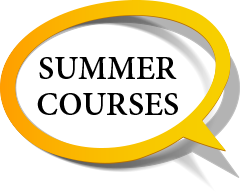 Discover the awesome course opportunities for high school students this summer at Morgan Park Academy with courses such as English Composition, College Application & Essay Bootcamp, Consumer Economics and ESL Classes. Learn More!